The 8 Best Travelogues about Mexico! 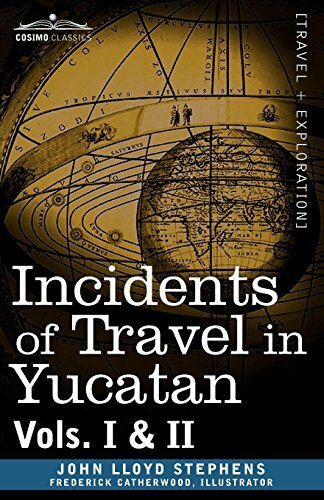 While the book club is already reading a great book from Mexico this month, I can't help but also be excited by the travelogues about Mexico below. While these aren't written by native authors, they all share a love of the land sweeping you into the culture, & are widely acclaimed as the best Mexican travelogues. No matter what type of travelogue you enjoy, you're bound to find one you'll love from the list of 8 books below. The story opens in Chihuahua, North Mexico, with a chance meeting with a group of itinerant Mexican street performers. Entranced by their stories and free-roaming lifestyle, author Catriona Rainsford decides to go with them on what becomes a two-year, hand-to-mouth journey across Mexico, learning to live off nothing more than a few performance skills, initiative ,and the kindness of strangers. Compelling, humorous, sometimes violent, and full of wonderful descriptions of life on the road, this is also a discussion of the morality of hand-to-mouth travel. Packed with stories of the characters she meets on the Mexican streets, the book offers an insight into the day-to-day experiences of Mexico's urban poor. " A unique window into a world rarely seen, this read is a breath of fresh air from an award-winning author. 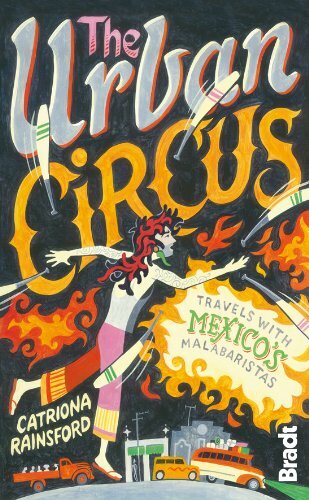 Fast-paced with vivid descriptions you will not easily forget the story of a young English woman who spent two years living with a group of "malabristas", the uniquely Mexican group of young people who travel through Mexico, living hand-to-mouth as street performers. "Before returning to the Old World after World War II, Sybille Bedford resolved to see something more of the New. 'I had a great longing to move,' she said, 'To hear another language, eat new food, to be in a country with a long nasty history in the past and as little present history as possible.' 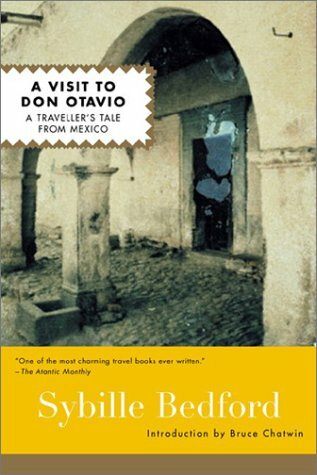 And so she set out for Mexico—and, incidentally, to write what Bruce Chatwin called the best travel book of the twentieth century, a book of marvels, to be read again and again and again." The author is reported to have not taken notes in her travels in Mexico. Instead, she retrieved all of the Mexican postcards sent to friends/family & used them as the basis for her book. A mixture of fact & fancy much like Mexico itself, this is a light, funny, & poetic read reminiscent of another time in the grand European style of travel in days gone by. You'll be charmed by 1950s Mexico as seen through the author's eyes. "Prior to the 1840s, when Stephens published this superb account of his explorations, the Yucatan was only crudely charted. Yet the descriptions of the odd ruins intrigued the young Stephens, who spent years yearning to explore and better chart the lands. Accompanied by his friend, an architect and draughtsman Frederick Catherwood, Stephens set off for the wilderness of the Yucatan. It wasn't long before the pair encountered the first Mayan ruins. Captivated by the unique architecture and distinctive cultural remnants, the two pressed further inland. Accounts of the cities of Palenque, Quiriguá and Uxmal are included in this edition, which reprints the many intricate illustrations Frederick Catherwood made of the buildings, great Mayan temples, items, and landscapes encountered." Prior to Stephens publishing the accounts of his travels, it was assumed the structures found in Central America had simply been assembled by either Europeans or Asian visitors. It was not until Stephens' immense detailing of the artistic and architectural accomplishments that the Mayans were confirmed as a civilization of great sophistication." "In 2004, Barry Golson wrote an award-winning article about Mexico for retirees longing for a lifestyle they couldn't afford in the US. A year later, he and his wife were taking part in the growing trend of retiring abroad. They sold their NYC apartment and moved to the idyllic surfing and fishing village of Sayulita. With humor and charm, Golson details the year they spent settling into their new life and building their dream home. Sayulita -- population 1,500 is a never-dull mixture of traditional Mexican customs and new, gringo-influenced change. Before long, the Golsons had been absorbed into the rhythms of village life: they adopted a pair of iguanas named Iggy Pop and Iggy Mom, got sick and got cured by a doctor who charged them $16 a visit, made lasting friends, and discovered the artistry of local craftsmen. But their daily lives were mostly dedicated to the difficult yet satisfying process of building their home. It took them almost 6 months to begin -- nothing is simple (or speedy) in Mexico -- and incredibly, they completed construction in another 6. They engaged a Mexican architect who not only built their home but also changed their lives; encountered uproariously odd bureaucracy; and ultimately experienced a lifetime's worth of education about the challenges and advantages of living in Mexico. 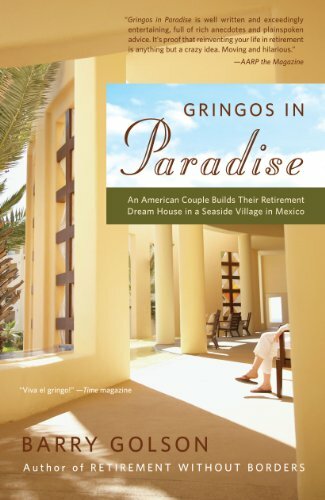 As much about family/ friendship as about house-building, Gringos in Paradise is an immensely readable book about finding a personal paradise and making it a home." Since childhood, Oliver Sacks has been fascinated by ferns: an ancient class of plants able to survive and adapt in many climates. Along with a delightful group of fellow fern aficionados—poets, artists, mathematicians, and assorted botanists and birders—he embarks on an exploration of Southern Mexico, a region that is also rich in human history and culture. He muses on the origins of chocolate and mescal, pre-Columbian culture and hallucinogens, the vibrant sights and sounds of the marketplace, and the peculiar passions of botanists. What other species would comb ancient Zapotec ruins on their hands and knees, searching for a new type of fern? 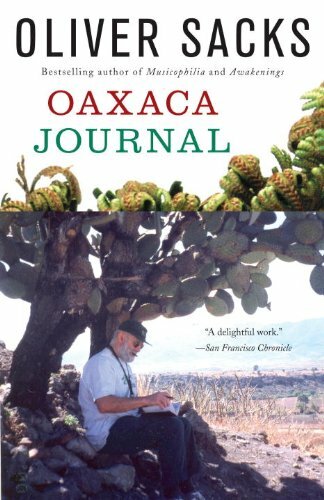 Combining Sacks's enthusiasm for natural history and the richness of humanity with his sharp and observant eye for detail, Oaxaca Journal is a rare treat as the Globe and Mail proclaims." "The definitive book on Mexico City: a vibrant, seductive, and paradoxical metropolis-the second-biggest city in the world, and a vision of our urban future. First Stop in the New World is a street-level panorama of Mexico City, the largest metropolis in the western hemisphere and the cultural capital of the Spanish-speaking world. 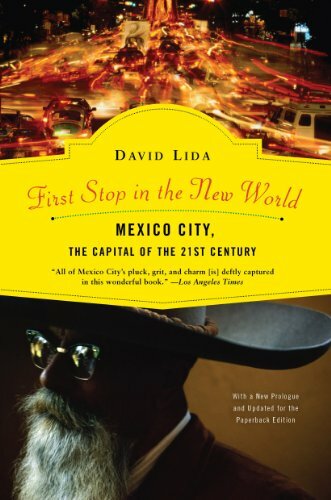 Journalist David Lida expertly captures the kaleidoscopic nature of life in a city defined by pleasure and danger, ecstatic joy and appalling tragedy-hanging in limbo between the developed and underdeveloped worlds. With this literary-journalist account, he establishes himself as the ultimate chronicler of this bustling megalopolis at a key moment in its-and our-history." "In the years after the 1939 publication of Steinbeck’s masterful The Grapes of Wrath, Steinbeck and his novel increasingly became the center of intense controversy and censorship. 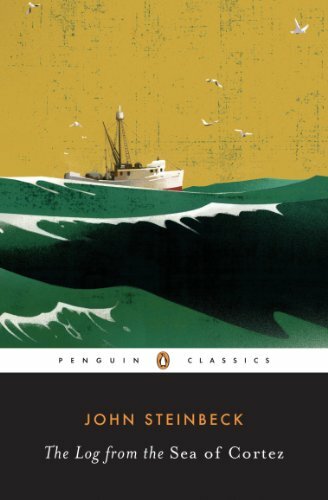 In search of a respite, Steinbeck and his close friend, biologist Ed Ricketts, embarked on a month long marine specimen-collecting expedition in the Gulf of California, which resulted in their collaboration on the Sea of Cortez -- a volume in which fascinating popular science is woven into a narrative of man’s dreams, his ideals, and his accomplishments through the centuries. Sea of Cortez is one of those rare books that are all things to all readers. Actually the record of a brief collecting expedition in the remote and beautiful Gulf of California, it will be science to the scientist, philosophy to the philosopher, and to the average man an adventure in living and thinking." Note: There are two versions. The entertaining log shown here which only contains Steinbeck's observations and color commentary, and the full journal from both men including Ricketts' technical information on the marine biology side. 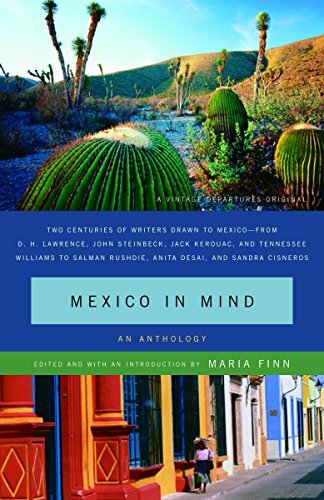 200 years of writers drawn to Mexico—from D. H. Lawrence, John Steinbeck, Jack Kerouac, & Tennessee Williams to Anita Desai, Sandra Cisneros, & Ray Bradbury are included in this anthology! "This scintillating literary travel guide gathers the work of great writers celebrating Mexico in poetry, fiction, and nonfiction. Ranging from 1843 to the present, Mexico in Mind offers a remarkably varied sampling of English-speaking writers’ impressions of the land south of the border. John Reed rides with Pancho Villa in 1914; Graham Greene defends Mexico’s priests; Langston Hughes describes a bullfight; Jack Kerouac and William Burroughs find Mexico intoxicating; Alice Adams visits Frida Kahlo’s house; Ann Louise Bardach meets the mysterious Subcommandante Marcos face to face. Fictional accounts are equally vivid, including poems by Muriel Rukeyser, Archibald Macleish, and Sandra Cisneros, short stories by Katherine Anne Porter and Ray Bradbury, and excerpts from John Steinbeck’s The Pearl, Tennessee Williams’ Night of the Iguana, and Salman Rushdie’s The Ground Beneath Her Feet. From the bustle of Mexico City to coffee plantations in remote Chiapas, from Mayan ruins to the markets at Oaxaca, the scenes evoked in this anthology reflect the rich variety of the place and its history, sure to enchant vacationers, expatriates, and armchair travelers everywhere. Alice Adams • Ann Louise Bardach • Ray Bradbury • William S. Burroughs • Frances Calderón de la Barca • Ana Castillo • Sandra Cisneros • Anita Desai • Erna Fergusson • Charles Macomb Flandrau • Donna Gershten • Graham Greene • Langston Hughes • Fanny Inglehart • Gary Jennings • Diana Kennedy • Jack Kerouac • D. H. Lawrence • Malcolm Lowry • Archibald Macleish • Rubén Martínez • Tom Miller • Katherine Anne Porter • John Reed • Luis Rodriguez • Richard Rodriguez • Muriel Rukeyser • Salman Rushdie • John Steinbeck • Edward Weston • Tennessee Williams"
Older PostWhich Icelandic Book Should We Read?